Method #1. In the Spotlight on the right top of your Mac screen, type in "Downloads", then you can see the Downloads folder in the result. Click to open it. Method #2. 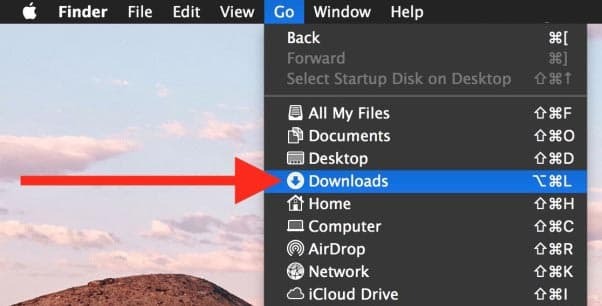 Whether you download files with Safari, Chrome or other web browser, you can see the download process on the top right of the window when the download begins. After the download, you can click the download icon to open the Downloads folder. Method #3. Click the Finder, then click Go from the menu bar, then select Downloads. Since you’ve found the Downloads folder in part 1, then you know how to delete Downloads on Mac. Click to open the Downloads folder. 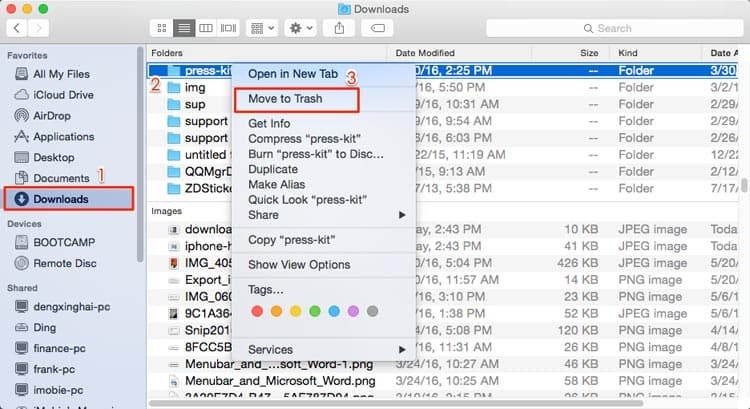 After then, select any download you want to remove from Mac, drag and drop it to the trash can. That’s it. 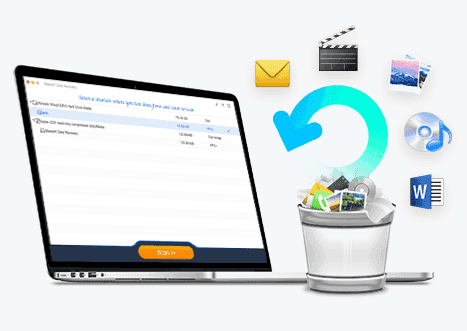 Of course, if you want to clear or remove Downloads on Mac more efficiently, the you might like to get the help of MacClean, a software designed for people to delete files or trash, but it takes you bucks for the services. It saves you time for the deletion process. While you deleted Download on Mac, you might get some important downloads deleted. It is very likely to happen if you try efficient software to deleted Downloads on Mac. It will clear all download on Mac without any attention. 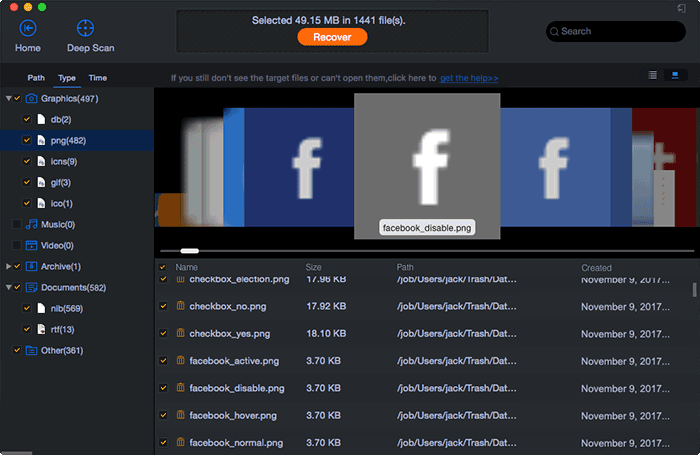 In this case, you need to learn how to recover deleted or cleared downloads on Mac. 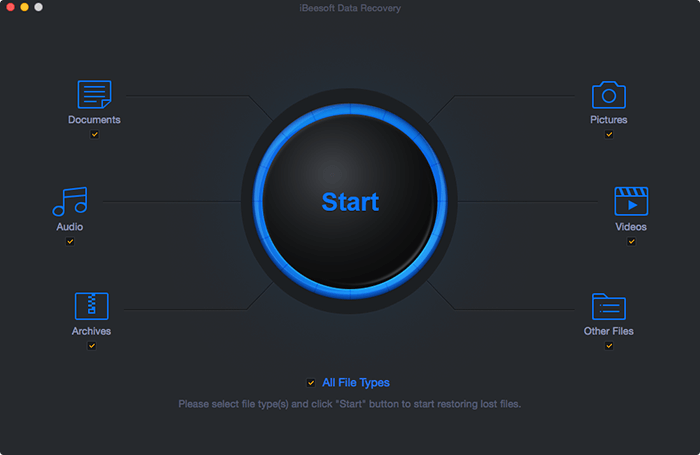 Your best choice here is to download the Downloads folder recovery tool - iBeesoft Mac Data Recovery for help. The software is developed for users to recover deleted or lost data, including videos, photos, audio files, documents, DMG files, and more on Mac , either losing the files due to Mac OS crash, intentional or unintentional deletion, formatting, virus attack, etc. And you can’t see the deleted Downloads on your Mac manually if you’ve emptied the trash. Only with the help of a professional tool, you can successfully recover Downloads folder on Mac again. It can help you easily and quickly recover deleted/lost files from SD card, hard disk, USB drive, SSD, pen drive, or removable devices on Mac. It can deeply scan your drive and ensure completely recover lost files on Mac. Read-only scanning process that will not destroy any data. It can restore Downloads folder under macOS 10.14, 10.13, 10.12, 10.11, 10.10, and more. Click the download button to download the installation package of the software on your Mac. Install it like the other software you’ve installed before. If any pop-up tells you that it is not downloaded from App Store, forget it! The software is not available at App Store yet, but it is really a great tool that almost 95% users like it. And it is available at MacUpdate as well. You must have remembered what types of files you’ve deleted from the Downloads folder. If you do, please select the corresponding file type to scan. It will saves you time. If you do not remember, then you must keep all files selected and click "Start" to find Downloads on Mac. From the next step, you need to select the hard drive to scan. By default, there is only one hard drive or partition on your Mac if you haven’t get more partition on your Mac. Please select the one where your Downloads folder once saved and click "Scan" to recover deleted Downloads on Mac. After the scanning process, you can see all found files are put into categories. Select the category to filter the files. Next, preview the files before you restore to your Mac. 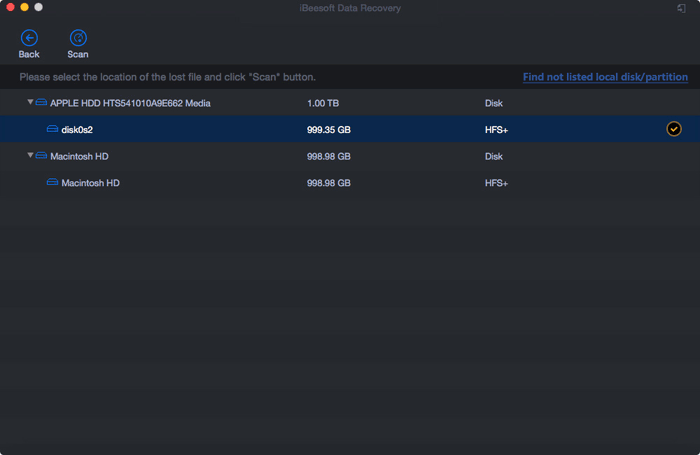 When find the target files, click "Recover" to save them to your Mac again. If the default Quick Scan doesn’t find the files you need, please try the "Deep Scan" in the result window. It will scan your Mac deeper for the deleted Downloads on Mac. Just be patient, it works greatly.